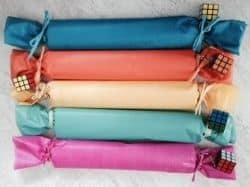 These cute colorful DIY Christmas crackers take about 10 minutes to make. 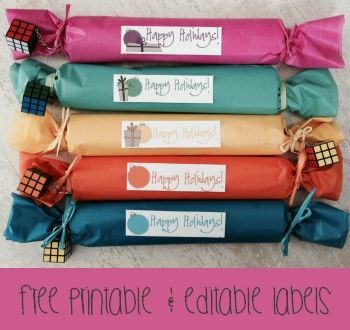 They come with free printable labels which you can print, cut and adhere to the crackers. You can edit the labels so if you don’t want to use them as is then you can change the text. For example, you can personalize the message with your guest’s name. I made one for each of the kids and they were not only fun to receive but they added color to the Christmas lunch table. My mom and husband both remarked that grown-ups should have been included too! Next year I’ll make one for the adults as well J! I’ll put candy in theirs. 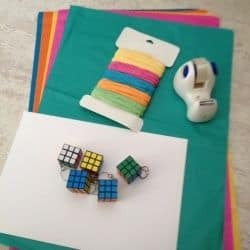 Place the small gifts on the cardstock and roll up the cardstock. 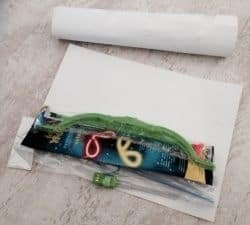 Use cello tape to seal each roll. 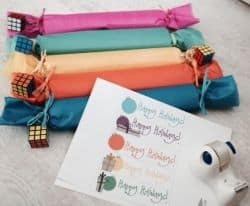 If you have different gifts in each then don’t forget to write your guests names on each roll. 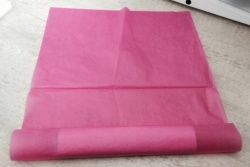 Roll tissue paper around the cardstock rolls. Repeat the steps above to make as many crackers as you will need. Tie a ribbon to each end. 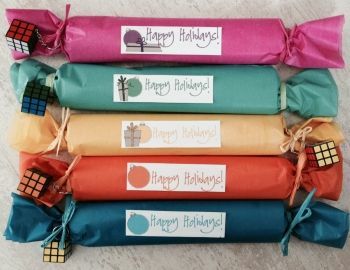 If you want to use little gifts then attach them to the cracker with the ribbon. 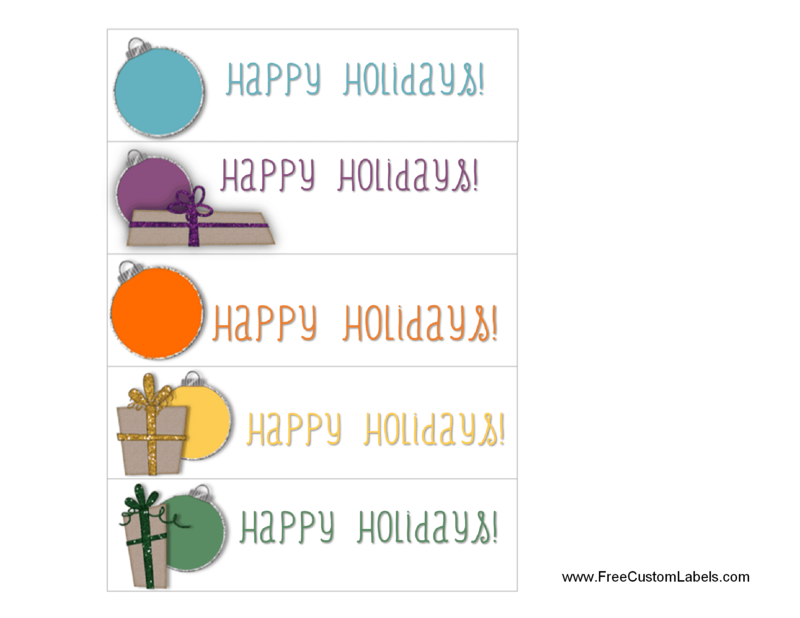 Print the labels or use the editable version that can be personalized. Cut them out and adhere one to each cracker.